I found this pattern Fish Hat (dead or alive) and I think it will be vrry fun for my dad. this is the WIP photo. 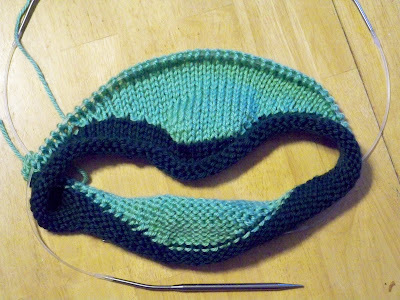 I"m knitting it in the round on 2 circular needles.